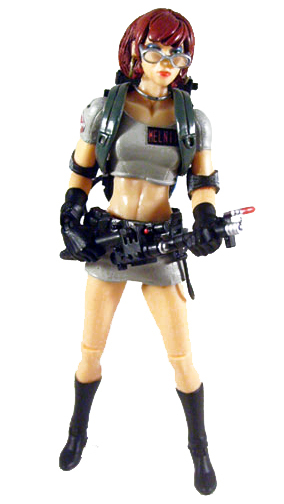 The Ghostbusters' aloof receptionist Janine Melnitz has not been announced by Mattel as an upcoming figure, but Matty might want to reconsider their schedule after seeing how much this Janine custom sold for on eBay. 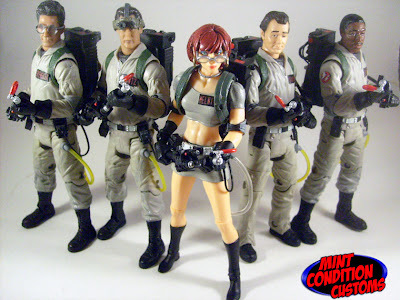 Now, obviously, even if Mattel does produce a Janine action figure in their Ghostbusters line, she won't look anything like this custom. 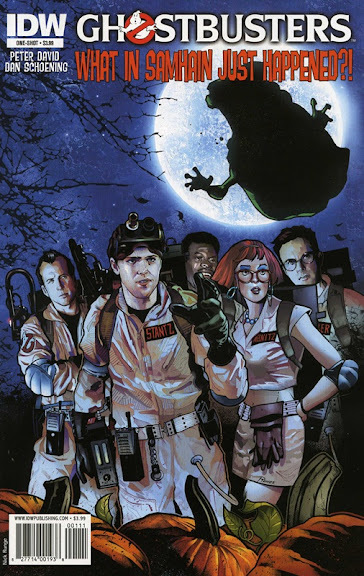 This provocative Janine was inspired by a recent Ghostbusters comic book cover more than Annie Potts' appearance in either Ghostbusters film. Mint Condition Customs crafted their suggestive secretary-turned-ghostbuster from a Marvel Legends Marvel Girl and it features a removable Proton Pack borrowed from Matty's Courtroom Peter Venkman.